The dead of winter…fitting. Bare tree branches, rhody leaves folded down to keep out the cold and hope upon hope there won’t be another PKW (Phormium Killing Winter). Driving around the South Sound you’ll notice one plant that is miraculously unaffected by even the worst South Sound winters. The plant that always survives…the most unappreciated plant of all…the common Western Sword Fern (Polystichum munitum), the better half of what makes Western Washington green. Without Doug Firs and Sword Ferns we would look pretty bare. As garden plants go, sword ferns are easy to find (buy one or find a friend who lives in the woods). They are easy to transplant and even easier to grow. They stay green through snow, sleet, hail and rain. They grow in sun, shade, wet, dry and even in drought. The word “indestructible” comes to mind. Sword ferns grow to a majestic 4 feet or more and are ideal as fillers in a northwest style garden or all alone in a corner where they can reach their full potential. Sword ferns may be common but they are uncommonly beautiful. Unlike other hardy perennials, sword ferns are completely “slimeless”. Just cut away old fronds in the spring. If a common sword fern scores 100% in “horticulture world” then the lowly horsetail (which is also a fern) scores close to 0%. Horsetail (Equisetum) is the sole survivor in the 100 million year old line of its plant family. It’s still here. If it lasted 100 million years, then maybe we shouldn’t be so hard on ourselves when we can’t get rid of it. After all, it is resistant to herbicide, resistant to solarization (covering an area with clear plastic for an entire summer) and it laughs if you try to stop it with Weed Block. You can dig it up and pull it up but unless you do it carefully and often, you may become a horsetail farmer. The only way to get rid of it is to starve it. Whenever you see even a small sprout, soak the soil around it and carefully lift it out with a trowel. You may have to camp out over it to keep it in check. One bit of good news. It’s slow to establish. Horsetail is also listed as an herbal remedy…but what isn’t? Ferns are a confusing group of plants. Ferns don’t have seeds or flowers and their botanical names are almost unpronounceable. They can be hard to identify too. And yet, hardy ferns continue to gain popularity and pride of place in South Sound gardens because, once again, we have the perfect climate. 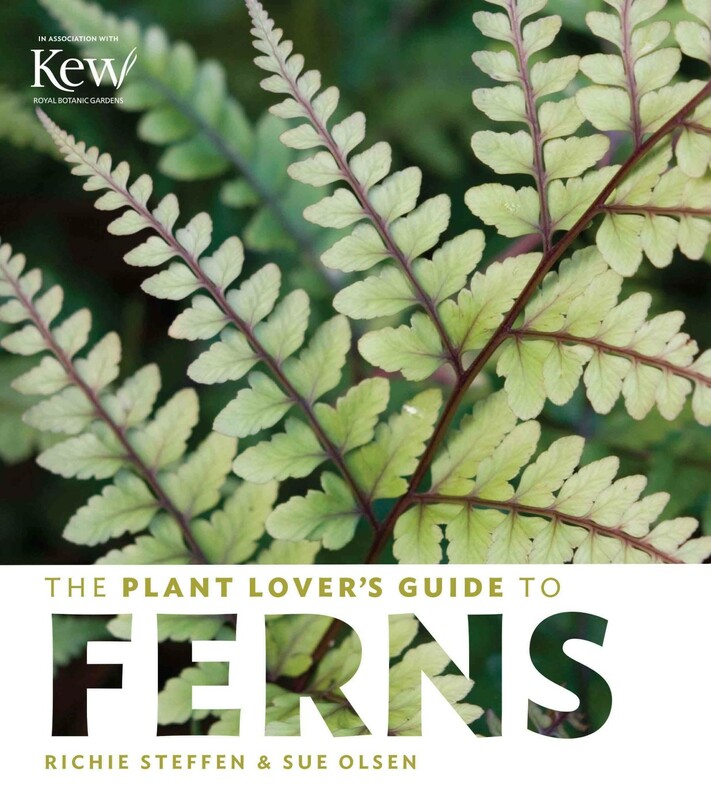 “The Plant Lover’s Guide to Ferns” simplifies and demystifies hardy ferns. Authors Richie Steffens and Sue Olsen don’t just identify and collect hardy ferns, they use them in their gardens. It turns out there is a hardy fern for every part of the garden. Hardy ferns grow in sun and shade and in wet and dry soils. They are good mixers in containers and striking as solitary architectural focal points. Hardy ferns are a huge learning curve for most of us. There are 12000 of them! Typically, fern books are written for reference and identification. That’s great but what do you do with a fern after you identify it correctly and learn how to say the name? That’s what a gardener needs to know. Where do I put it and how do I take care of it? “The Plant Lover’s Guide to Ferns” finally answers the questions…simply. How lucky we are to have so many great horticulturists and garden authors in Western Washington. Richie Steffens, Curator of the Elizabeth B. Miller Garden and Sue Olsen, owner of Foliage Gardens, author of The Encyclopedia of Ferns and both past presidents of the Hardy Fern Foundation, have written a fern book “for the rest of us”.